I am so excited to report that I finally got to try Snack Bar for brunch over the weekend. I have been watching the progress on the building for months and my friend Judy has been giving me updates on their progress and telling tales of a vegan friendly menu for so long that I was beginning to think it was all a big joke and that they would have a vegan entree like “mixed vegetables” . Kind of like when I read that the Black Sheep Lodge had the best veggie burger in town but it turned out that it was a garden burger. 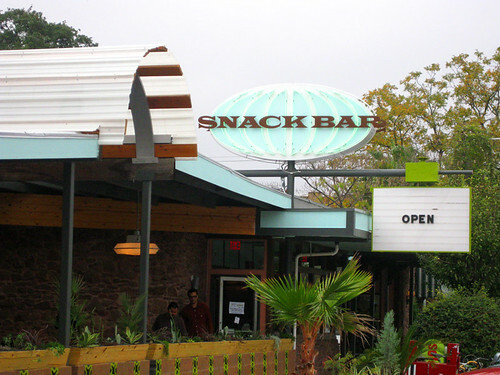 I am happy to say that Snack Bar is everything it was hyped to be. They must have a vegan in the kitchen, or at least know one that is into food! The owner, an artist names Bethany Andree, has been beset with structural problems with the building since acquiring the place last year but has done a great job, with help from her friends, turning it around. They have done such an amazing job with the place! The outdoor patio looks really nice, it is right on South Congress but nicely shielded from the traffic with plants and the inside is bigger than I would have thought it would be and really nice. I love the casual modern style. The concept is to have a place where guests at the hotel behind it can pick up things that they forgot and also get drinks, food, and coffee but the location is going to also get lots of foot traffic and vegan traffic as well. I went with Alin and Molly, who are both vegan food lovers in Austin and we were all happy with the overall experience. In fact, we talked about coming back separately the next day! 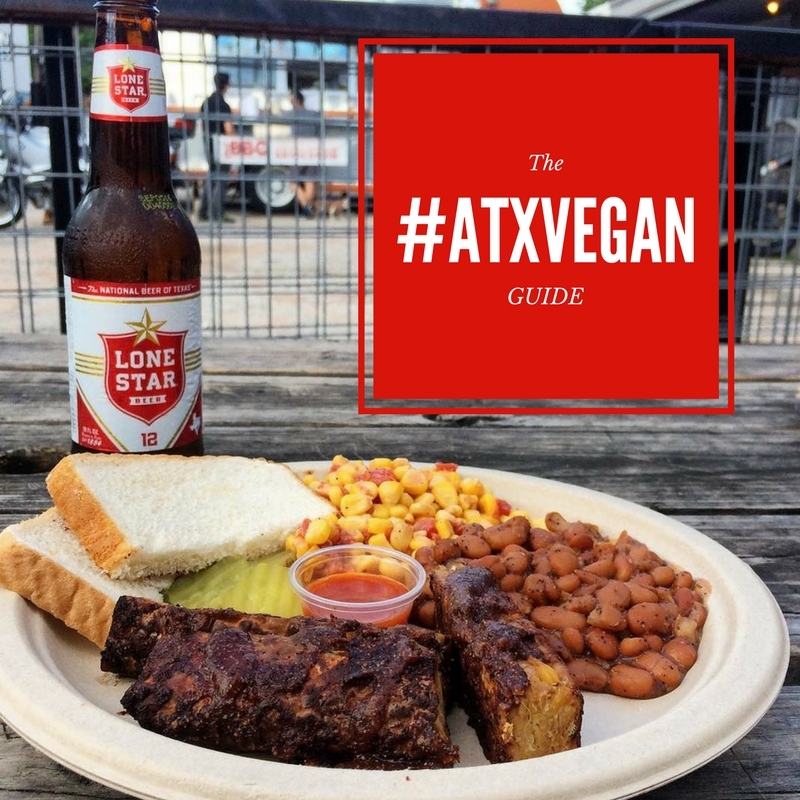 There are several places in Austin where a vegan can find some brunch, notably Bouldin Creek and Somnios but Snack Bar is the first place in Austin to really make an effort at vegan diner food rather than ovo-lacto vegetarian food minus the cheese or tacos. Don’t get me wrong, I love tacos and scrambles but when I go to other towns I am always so excited to have things like biscuits and bacon-style tempeh. When I checked out the snack bar menu I was thrilled. We were spoiled for choice and had a hard time making decisions. 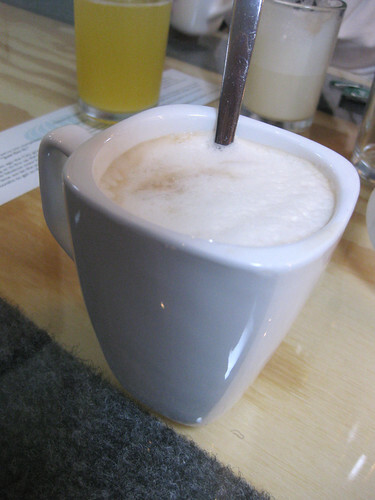 The first thing I ordered was coffee, I was a first let down that they didn’t have vegan creamer but then thrilled when they brought me a glass of steamed soy milk, there was enough for the multiple cups that the wait staff kept bringing which was a really nice treat. The coffee itself was surprisingly good. Alin got the “Freedom Benny” which was griddled tofu, smoked tomatoes on petite waffles and topped with vegan Hollandaise. It looked really good and I can’t wait to try it. Molly got the waffles with apple chutney and maple tempeh strips. I tried the latter and I thought that they were super, tempeh can be tricky to prepare correctly and they did it just right. 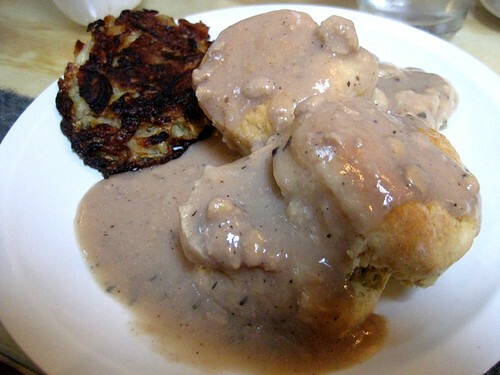 I really wanted to get the seitan sausages or the tofu scramble that is made with leeks crimini mushrooms and carrots but I couldn’t stop myself from ordering the biscuits with tempeh gravy because I was so excited that they were on the menu. The biscuits were really good, the gravy needs a little work but I am confident that they will get it together, the place did just open. It was cold the first time they brought it out but the waitstaff rectified the situation very quickly and handled the incident very well. I thought it needed a little more spice and that is was under-seasoned but I was a still a happy smurf and ate every bit. Alin and I both got the potato hash cake and that was definitely my favorite thing that I tried. The potatoes in this baby are mixed with cabbage, leeks, and onions and then pan seared. It was just perfect and only a dollar fifty. In fact, my whole meal was less than ten dollars with tip which means that I can go back any time and I certainly will! The lunch menu looks really good too, the have an avocado stuffed veggie burger and a seitan BBQ sandwich in addition to quite a few salads, including a raw offering. 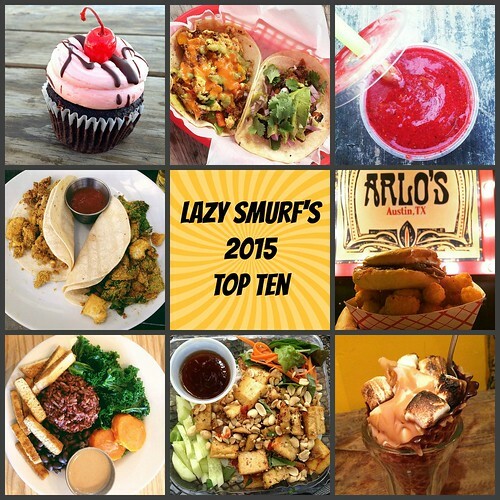 Hopefully they will add a vegan monte cristo and then it will be perfect! The only real problem is that pretty soon they are going to have a long waiting line. Snack Bar os definitely be worth the wait. 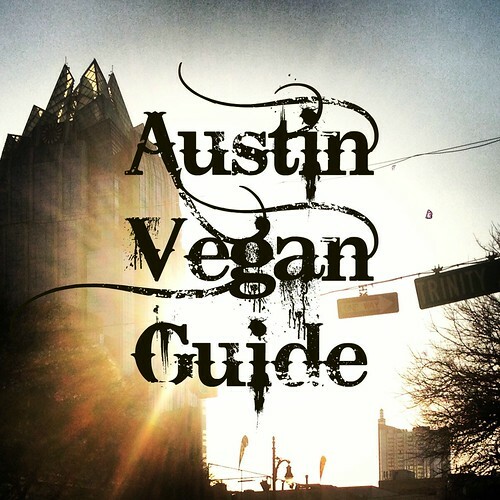 This entry was posted in Austin and tagged austin vegan restaurant, biscuits and gravy, potato hash cake, vegan restaurant review on November 23, 2009 by lazysmurf. I’ve tried Snack Bar for brunch, too, and thought the same thing. It’s pretty good, but could use a little work. I think they’ll get there, though. The hash cake was definitely the best thing I tried, along with the smoked tomato. Yum. They open for dinner later this week. Thanks for this review! I had no idea so many vegan options would be offered. Can’t wait to go here for lunch. I want to go back right now! 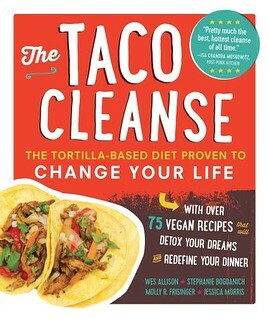 I really want to try the tacos, and scramble. Just because I can. Yay, us! I would have gone for the biscuits and gravy, too. I’ve got these southern roots, you see. 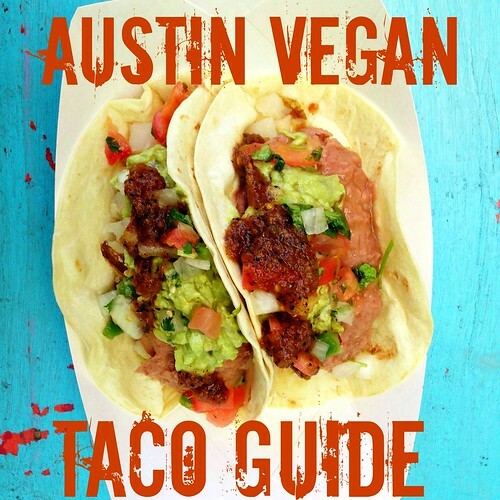 I can’t wait to go to Austin again and try all this amazing vegan goodness! 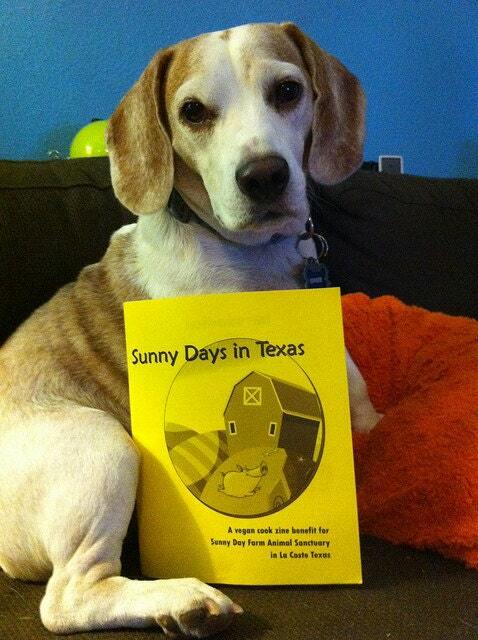 Yet another reason for me to move to Austin! mm… revisited biscuits… totally worth it!